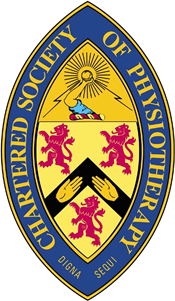 Physio Wellbeing is one of Congleton’s leading and most innovative physiotherapist treatment centres. We offer specialised, personalised treatment plans to anyone suffering muscular pain resulting from injury or old age. If you have been looking for a physio in Congleton who can help you recover from a recent accident which has resulted in long term pain, then Physio Wellbeing can help you. Road traffic accidents or a trip or fall can lead to damage to muscles and ligaments which can leave you in constant pain. Our team of highly qualified and trained physiotherapists have plenty of experience in treating injuries. We also can help if you have suffered a sporting injury. Our physiotherapists will use their skills to treat your injury quickly and efficiently. We offer our clients advice and support throughout their recovery journey. If you or a relative suffer with musculoskeletal pain, our team of physiotherapists can help you to regain pain free movement and increased mobility. As we age, the body can experience more painful muscles and joints resulting in it being very painful and sometimes be difficult to move. At Physio Wellbeing, we understand that physiotherapy is not a “one size fits all” treatment. Individual people will suffer different pains and will heal in different ways. We make sure that any treatment plans and schedules we make are as individual as you are. During your first visit a member of our very experience physiotherapist team will perform a thorough assessment of your case. This will give us a good idea of the extent of your injury and what are the best treatment methods to use. Your treatment journey will be unique and tailor made to suit you. Call us on the number provided to arrange a visit to our clinic in Congleton or fill in the form below and one of our team will get in touch with you.